Intricate chiral patterns formed by a single bacterial colony as it searches for food. 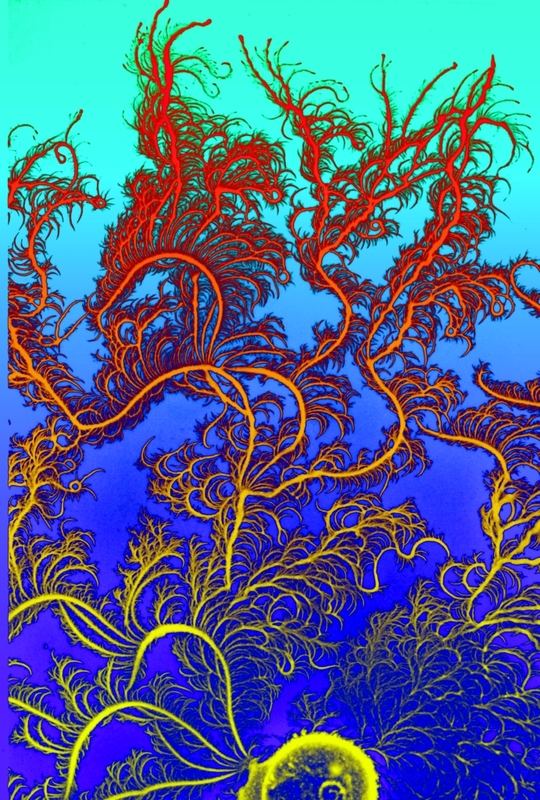 While roaming the great wide web for the newest microbial topic that would stir intrigue, wonder, and appreciation for the microbial world in the hearts of my readers, I stumbled across the Microbial Art Gallery and just had to share it and some fantastic images. 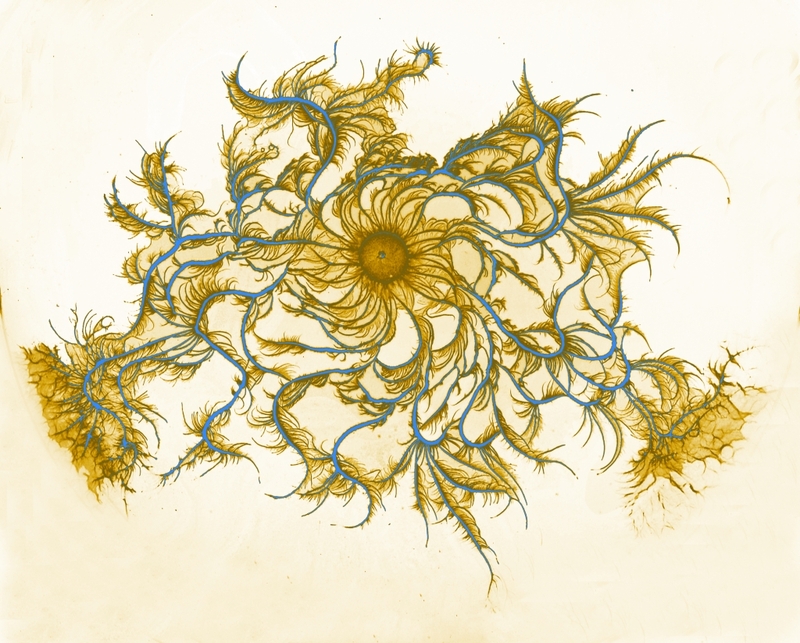 The gallery is a collection of unique artwork created using living bacteria, fungi, and protists in ways you might never have imagined possible. Not only are these tiny creatures infinitely useful, helpful, even necessary to our very existence, but they are beautiful and creative in their own right. Some of my favorites in the gallery (reproduced here with kind permission of Dr. Eshel Ben-Jacob) are actual images of Petri-dish cultures of Paenibacillus dendritiformis, a bacterium that has engineered these complex chiral structures through self-organization survival strategies. More chiral patterns formed by Paenibacillus dendritiformis grown on minimal media. This involves cooperation and advanced communication between the cells (and results in a very pretty picture). I guess I’m just not quite sure why we’re still calling them “lower” life forms anymore. Ben-Jacob, E., Becker, I., Shapira, Y., and H. Levine. (2004). Bacterial linguistic communication and social intelligence. TRENDS in Microbiology, 12(8): 366-372.